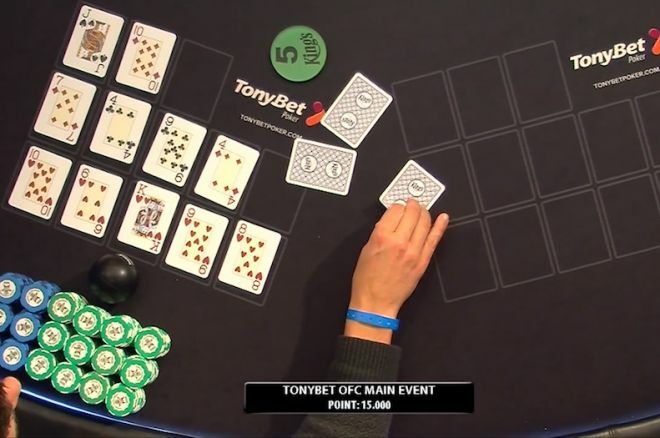 At the end of last year the first ever €1,000 TonyBet Open-Face Chinese Poker World Championship Main Event in Prague drew an remarkable 135 entries, the largest field ever for a live open-face Chinese (OFC) event. Also staged was the €10,000 TonyBet Open-Face Chinese Poker World Championship High Roller which drew 23 players to create a total prize pool of €218,500, the largest ever for an OFC event. Jennifer Shahade claimed the title and championship belt in the High Roller, earning €100,000 for doing so, while Mikal Blomlie won the belt for the Main Event and a €35,000 first prize. The variant being played here is pineapple OFC, the rules for which you can find here. That’s one of several OFC variants available to play at TonyBet Poker along with regular OFC, 2-7 OFC, and a new one just added this week — Progressive Pineapple OFC.